Roofing repairs and replacements are quite common occurrences almost everywhere. Since roofs are an important part of any building, people have tons of questions regarding how the repairs and replacements are done and how long will a typical project would take to complete. Here are some of the common questions and corresponding answers provided by the roofing experts in San Antonio. 1. How Long will it Take for a Roof Repair Process to Complete? 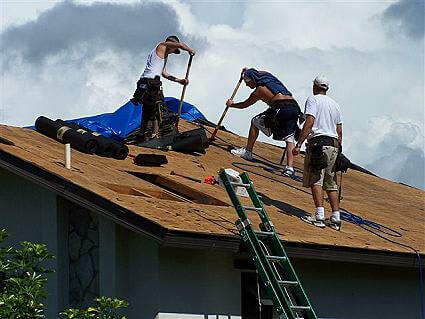 The time required for a roof repairing service to complete depends on various factors. A major factor primarily would be the extent of damage caused to the roof, and one another important factor would be the total square footage. If you need only a small portion of the roof to be repaired, the project would be complete at the earliest possible time. However, if there’s a need for an extensive repair work over a larger portion of the roof, it should take days to complete. Your contractor would be giving an estimated timeline for the repair process. 2. How Long will it Take for a Full Roof Replacement Process to Complete? As explained earlier, the timeline for a full replacement process shall be gauged on the basis of the condition of your roof. For example, if there’s a structural damage underneath the roof, additional repair works will have to be done. New tiles or shingles should not be placed over the building for the new roof to be well structured. The more work that needs to be done to get your home prepared for the new roof, the longer the project will require to be done. The presence of structural damage and the intensity of it can be found only through a thorough inspection by a roofing expert. 3. How Much Damage Can a Roofing Expert Can Handle? Certain roofing contractors are only trained and qualified to do work on the roof alone, and not on the underlying structure. So, if you identify any extensive damage to your roof or the structure following the recent hurricane Harvey disaster, make sure you hire a roofing contractor who is experienced and certified to offer new roof construction. A recognized roofing company will have the right equipment to do the job. 4. Where Will All the Debris Go? The roofing company will take away all the debris with them, once the project is complete. The debris will be disposed of in a safe place, following your local area’s regulations. The factors that determine the cost of a roofing service include the materials required, labor charges and disposal fees. The overall cost of the project varies between contractors and depends on their experience and reputation as well. Meet with each of them, ask for quotes and find one that’s ideal for you. When you deal with a licensed San Antonio roofer, you can be sure that the project will be done smoothly. Have we not answered any questions you have? Let us know in the comments!